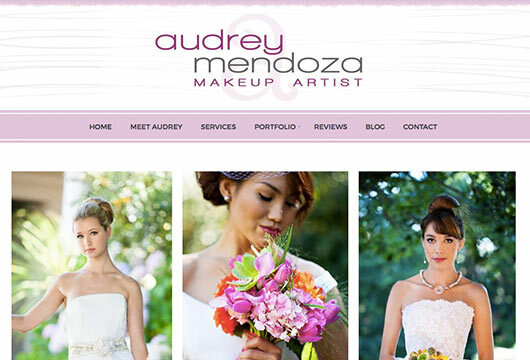 Audrey is a professional makeup in the San Francisco bay area who needed to upgrade her D.I.Y. site to attract a better clientele. Audrey hired PrettySmart to create a WordPress site that better integrates with her branding. We also created a “call to action” or CTA on each page that walks prospects through the site navigation in a logical selling sequence that ultimately leads to the contact form.